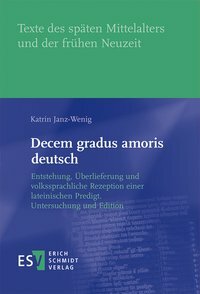 Sie sind hier: Start - Ausgabe 18 (2018), Nr. 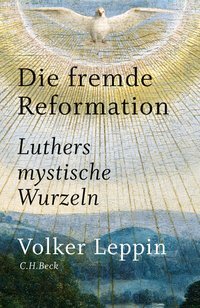 4 - Rezension von: "Testamentum propheticum"
This volume centers on a text ascribed to Hildegard of Bingen (1098-1179) edited here for the first time in this form and presented as a new work by the famous visionary, more specifically still as her "prophetic testament." 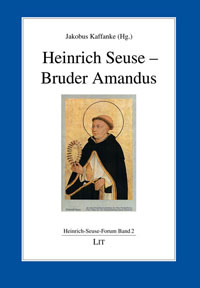 This edition was undertaken at the Hugh of St. Victor Institute in Frankfurt directed by Rainer Berndt SJ, a research group dedicated to editing all the works of Hugh of St. Victor which has done much fine work while also serving as a training ground for medievalists. Their group, of which Narvajo is a part, has also taken up the texts and teachings of Hildegard of Bingen, this book indeed dedicated to Pope Benedict XVI who first named Hildegard a "doctor of the church." The critical study and editing of Hildegard's work has been underway for two generations now in editions undertaken independently by varied editors. Most have been fine, many superb. The most controverted case has proved to be Lieven van Acker's edition of Hildegard's letters, some four hundred of them, completed in three volumes published between 1991 and 2001, its last volume done in good part by Monika Klaes-Hachmoller after Van Aker's passing. The difficulty with Hildegard's letters, simply put, is that they have come down to us in manuscripts from both her lifetime and after, in smaller collections and larger, some with her letters alone, some in pairings with correspondents, some with correspondents purged so as to present them more as tractates, and finally a grand comprehensive presentation of them in the so-called Riesencodex (Wiesbaden, Hochschul- und Landesbibliothek, cod. 2). Editors and historians, as Narvaja notes (18-24), have argued for the priority of earlier copies as bearing more authentically her text, or for later copies as equally expressive of her intentions and representing how she used and re-used them or chose to have them recorded. Most scholars concede that the later copies, especially in the Riesencodex, reflect stylistic and textual interventions, likely by Guibert of Gembloux, which exceeded those made by her confident and co-worker Volmar (d. 1173), as she herself complained. Scholars remain uncertain however, or in disagreement, about the degree to which the Riesencodex itself reflects her personal direction or intentions, also as to whether it was copied out during her last years, after her passing, or in some combination of the two. Narvaja recognizes this, including a common notion (84) that Guibert supervised it in 1177-80, while himself leaning strongly to viewing its text still as essentially Hildegard's. In Codex R (Wiesbaden's Riesencodex) these letters (or, the Epistolarium as its compiling scribe titles them), appear, interestingly, after the Vita of Hildegard ascribed to Ludwig and Godfried, and then are followed to conclude by a copy of the Symphoniae. Here the letters are now organized according to rank of correspondents, beginning with popes, a manifest act of presentation or self-presentation, Hildegard showcased as a public figure and prophet, whether this was done at her direction or by promoters such as Guibert of Gembloux. Van Acker, Klaes-Hachmoller, and others have shown in addition that both the pairings and the texts as presented in Codex R are not always to be trusted, at least with respect to what may be found in other and earlier manuscripts or through historical study. And yet, such issues are hardly unique to Hildegard's correspondence but recur in the transmission of letters from many medieval figures. We must imagine such letters used, filed, re-used, and at some point ordered and edited for literary or religious presentation. Narvaja holds (21-22) that any insistence here upon making a single critical choice poses a false dilemma; a second recension can equally represent an "authentic" text. A historian and literary critic would want to distinguish one usage of the letter from another, also be sure a revised or re-used text represented Hildegard's will or oversight, not that of a clerical editor seeking to improve upon it or to make her sound more like they thought a visionary should sound. Narvajo, with others, concedes that this whole correspondence may one day require a new critical evaluation. But for him the heart of the matter is Hildegard as a religious figure and thus ultimately a theological reading of her writings. All the same, beyond his edition here, wonderfully done and occupying more than a third of the whole, this book offers mostly data about the manuscripts and the text itself, not editorial or interpretive arguments. That data, if occasionally a little hard to follow, is exceedingly useful. Narvajo describes in full item by item the contents of the Riesencodex (29-36), then in equal detail all the letters (37-73), then similarly the form of the Symphoniae in this manuscript (37-82), and finally in brief all six manuscripts with copies of Hildegard's letters in any form (83-86). His description of the letters is especially useful; Klaes-Hachmoller did so for the other manuscripts bearing copies of Hildegard's letters, but not for Codex R. Narvajo on the other hand does not acknowledge that in the later Middle Ages Hildegard and her letters would become known mostly through the re-worked form they took in Gebeno's Pentachronon or Speculum futurorum temporum. So what is at issue here then, and what is this "new text"? In the Riesencodex, eleven letters or paired-exchanges before the end of the Epistolarium, we find a letter, well-known to Hildegard scholars, ascribed to Volmar, her longtime teacher and confident as well as trusted helper, which presents itself as Volmar writing to Hildegard on behalf of the Sisters of St. Rupert's. They now still see and hear her daily in their midst, it reads, but the time will come when she passes from mortal eyes and her presence be lost to them, as will also all that she accomplishes beneficially for others in the larger world unlike all those careerists and false religious operators. They will leave to others to praise her, Volmar writes for them closing, but they pray ardently for her good health and strength (corrobatio) of mind. Scholars have wondered whether this was written during one of her bouts of illness, in any case before Volmar's passing in 1173. The letter itself is a two-page rhetorical extravaganza, which Navaja re-edits here from Codex R, its only witness, with mostly minor if still noteworthy corrections to Van Acker's text (103-04). What then follows in the Riesencodex is a very lengthy "letter" (over sixty printed pages, 107-71) cast as Hildegard addressing in return her community (O filię) - though now with no mention notably of Volmar. Van Acker recognized that this text, except for its opening, was comprised of materials found elsewhere in Hildegard's oeuvre, and so he printed only its otherwise unattested opening as a "response" and left the status of the rest undetermined. But this whole text, Narvaja holds, comprised Hildegard's response to Volmar and the Sisters' worry about what would go missing with her death, thus her own prophetic or religious or theological testament, and a text which must be regarded thus as a work in its own right, even if made up of bits drawn from all over her oeuvre. It all ends indeed with an address correlate to the opening (Nunc ergo, o filię, uidete et audite) - which Navaja has broken up into three paragraph units - whereby she entrusts the whole to them, and asks them in turn, somewhat mysteriously, not to leave her (Ergo non derelinquite me). Of this whole text Narvaja once again provides a detailed item by item source description (87-91): first comes her exposition of the Athanasian Creed, then sections from her Life of Rupert, four Symphoniae, snippets of what Van Acker presented as a separate letter (374), then seventeen Symphoniae, again parts of distinct letters (193, 192), nine more Symphoniae, and more parts of letters (194, 192). Moreover, to make things more bewildering, another shorter version of this compilation appears at the end (ff. 155-69) of a mid-thirteenth century copy of her letters (Vienna, Österreichische Nationalbibliothek, col. 963 [theol. 348]), a manuscript which contains both Gebeno's Speculum and copies of Hildegard's letters. In the now standard descriptive account of Hildegard's manuscripts (Embrach/Wallner, Conspectus) its last fourteen folios are described as presenting not a letter but parts of distinct works (here again the vita s. Ruperti but also the vita s. Disibodi and a few Symphoniae but no exposition of the Athanasian Creed). Narvaja sees this compilation too as parts of a letter, but reserves his alternative view to a footnote (85, n. 2). Whatever this represents, it is not precisely the same text, and not part of his edition. All of this raises difficult editorial and interpretive problems which will doubtless spark more study. Here I close with a few questions. Are the letter from "Volmar" and the long text a real exchange? Despite Narvaja's argument for the literary unity of each letter as such, their correlations are few and Volmar disappears in the second. One may also wonder whether that fulsome letter from Volmar reflects other hands; it seems smoother than some of what we normally associate with him. But then, and very importantly, is there truly a literary unity in the varied parts that make up the supposed 'response' letter from Hildegard, its length unprecedented in her correspondence? If so, it would seem to lie in a strong affirmation of the house, its faith, its privileges, and its unique forms of song. That is not exactly the same however as Volmar's résumé of the gifts she bestowed on the whole church - though perhaps the necessary basis for it. All that said, we have here nonetheless a lengthy compilation with virtually all its texts attested elsewhere in her oeuvre, brought together in intriguing conjunctions, perhaps extant in two forms, and now edited for us as it appears in the Riesencodex. So who compiled it? Hildegard? Volmar? Guibert? Her scribal assistants among the Sisters? And for what precise purpose? Despite Narvaja's title there is little of her prophetic voice here, but much relative to the claims of the Rupertsberg and its unique contributions to the church. 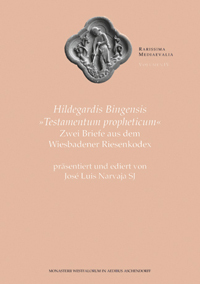 In any case, however future scholars may choose to sort and interpret all this, Narvaja's careful edition of the text, together with his careful laying-out of all the manuscript materials, wonderfully enriches and complicates our picture of Hildegard as a writer, teacher, and producer of texts in the twelfth-century church.